Whenever we go to Las Vegas people tell us "Who cares about the room? You're not going to spend any time in there anyways!" but we're not that kind of people, and we like a nicer room since we do like having some space to relax. People told us the same thing before we went on our cruise, but this time I'd have to agree with them. There is so much to do on a Disney cruise that the room is mainly used as a meeting place before dinners or shows. At some point however, five of us needed to get some sleep, and it's really quite ingenious how Disney makes room for you. The picture above is the exact layout of the room we had on our cruise, in daytime mode. Can you see where five of us are going to sleep? Neither could I, unless four of us were supposed to share the queen bed. Every night while you're at dinner, your room steward would come in and change everything over to nighttime mode. The couch folded out into a bed, a top bunk pulled down out of the ceiling above the couch, and the chair got moved so that a Murphy bed could fold down out of the wall. Spacious isn't the word you're looking for here, but at least each of the kids had their own bed. I've stayed in 3000 sq ft. suites where I had to sleep on the floor because there weren't enough beds for all of us. In the morning, your room steward comes and resets your room to daytime mode (in our case it was more mid-afternoon by the time we got the boy up and moving) so that there's room to sit. Storage space is at a premium in the room, but we did find room to unpack a weeks worth of clothes for five people. Unfortunately we were spending a week at Disneyland after the cruise, so we all had two weeks worth of clothes with us. After a few tries at storing suitcases in the closet, we discovered a wonderful little fact - a queen bed is almost exactly the size of five full size suitcases. You have to lift the bed an inch or two off the ground, but we got all five of our suitcases under the bed. Obviously this is a well known trick because, while you couldn't pay me to look under the bed in most hotels, it was spotless underneath the bed in our room. The bathrooms are split in two on the Disney Wonder. There's a toilet and sink on one side, and the other has another sink and a shower/tub combo. One of Disney's claims to fame in the cruise industry is that they have bathtubs in every room. It's true, but you probably shouldn't be envisioning kicking back and letting Calgon take you away in this tub. It's a very low tub, perfect for it's target audience of kids who aren't big enough to shower yet, but grown-ups would probably prefer the hot tub up on deck. If you're in the mood for some laughs though, try and have a bath while the ship is going through some rougher seas. Just keep lots of towels handy. This is how the towels get delivered to your room nightly. There is a small flat screen tv in the room which is loaded with Disney programming. It has a few channels that just run classic Disney movies, a few basic cable channels, and of course, Disney channel. Since our cruise was down the Mexican Riviera, the ship uses the Mexican feed of Disney channel. This means that while all the shows are in English, all the commercials are in Spanish. What an educational opportunity! I can now tell you that "Does your man smell like me?" is "Su olor hombre como yo?" in Spanish. Once you get past the fun of translating familiar commercials, the ship broadcasts announcements and activity schedules on the tv as well. My favorite part of the room though, was the verandah. Sure yesterday I said that I'd give up the verandah to sail half price or twice as long, but if you've got to have a room for five people anyways, you're going to enjoy the deck. It's definitely not big, but it's a fantastic place to sit out and actually enjoy the ocean. When you're in the lower levels of the ship it's kind of like being in a little city, and it's easy to forget you're at sea. You can get great views from up on deck, but you're also going to be sharing that space with a couple thousand other people. There's something amazingly fun about ordering some Mickey Ice Cream Bars from room service (Yes, room service is free too.) and sitting out on your private deck while pulling in to a beautiful port like Cabo San Lucas. It's a whole "Lifestyles of the Rich and the Famous" thing, at least until you see the boats that the actual rich and famous people are arriving on. Our Lifestyles of the Rich and the Famous moment. I'm pretty sure nobody goes on a Disney cruise looking for a nice room they can hide out in all week. The rooms are fine, and it's nice that I can have the whole family together in one. There's so much to do (and so much to eat) that you really don't spend a whole lot of time in the room. 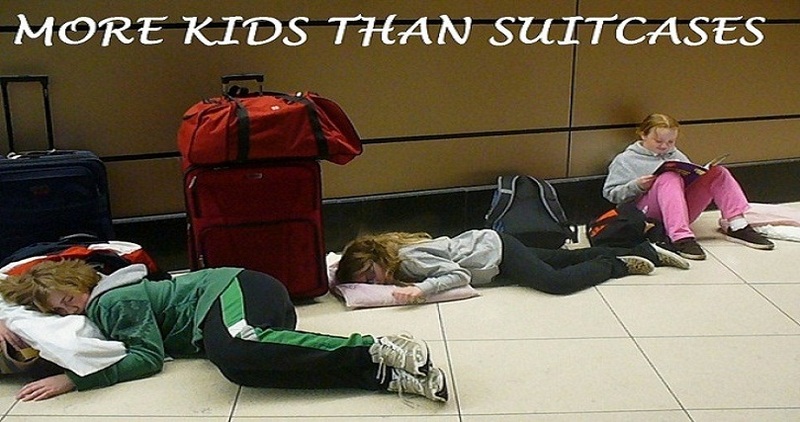 About the only time I saw my older two kids was when it was time to sleep. Of course for teenagers, that time was 3am until some time after lunch. It's 1pm. Must have been a rough night! Long story, but I went on a Disney Cruise. Ok, my aunt works there, so we went on some special thing. It's so perfect for families -- except the small rooms. I'd get up so early in the morning and go running. I couldn't sleep! We had trouble sleeping the first night while the ship was still close to Los Angeles. After we got away from there, it was pretty smooth the rest of the trip.